The International Max Planck Research School “Elementary Particle Physics – Theoretical, Experimental and Cosmological Frontiers” (IMPRS EPP) is a joint initiative of the Max Planck Institute of Physics (Werner Heisenberg Institute) and the particle and astroparticle physics groups of the Ludwig Maximilian University Munich and the Technical University Munich. Since April 2005 the School has been offering excellent research opportunities to highly qualified doctoral students. Research fields covered by the School from both an experimental and a theoretical perspective include high energy particle physics, astroparticle physics, and cosmology. The physics of strong interactions, quantum chromodynamics, symmetries and mechanisms for symmetry breaking, neutrino physics and neutrino astrophysics, supersymmetry, string theory, physics and technology of particle detectors and light sensors, dark matter, gamma-ray astrophysics, cosmic rays, and weak interaction physics are just a few examples of the range of topics under investigation. The students` own research is supplemented by an accompanying lecture program. Regular seminars, workshops, and other joint events serve to broaden the intellectual horizon, stimulate interaction between IMPRS members, and provide valuable background knowledge on topics beyond the students` own research project. Note that the IMPRS EPP is a school for PhD students only. Work on a Master/Diploma Thesis is not supported. Moreover, a Master/Diploma Thesis documenting at least about 6 months of research is required to be accepted. 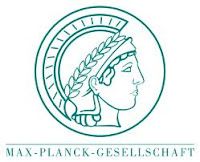 Please submit your application through the APPLICATION FORM on the WWW page “Visit Official Website..
Demikianlah informasi Ph.D. Fellowships in Elementary Particle Physics at Max Planck Institute of Physics (Werner Heisenberg Institute) kami sampaikan, semoga bermanfaat.